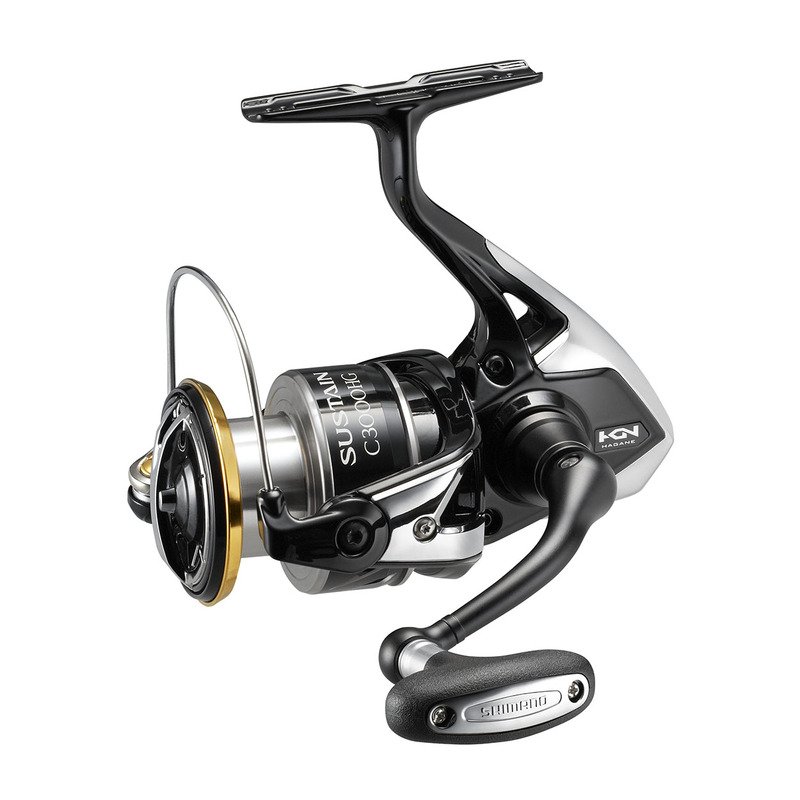 The new Sustain is a all-round front drag spinning reel with some exiting new features. Most important new feature is the X-Protect technology which is used to protect the important inner reel parts. X- Protect features water repellent + a special labyrinth structure in order to keep water out of the reel body. This is 7 times more water resistant than the CoreProtect technology. This makes the reel very suitable for 'rough' conditions like high waves (SW), rain, wading fishing; ways of fishing where it might happen the reel gets in touch with a lot of water. The gearing of the reel is stronger than before, the drag features cross carbon drag washers; all of this makes the reel suitable for heavy conditions. However; it can be used in any condition; it's a true allround spinning reel in the sizes 2500-5000.